It looks likely we'll be told that Malcolm Turnbull's Coalition government is on-track to deliver a surplus in 2020-2021 when Treasurer Scott Morrison delivers the 2018 budget to parliament on Tuesday 8 May. Is this good government spending, or is this in part down to tax cuts and an reported $8 billion cut to disability benefits? Analysts caution that the path to surplus can only be achieved by a strong economy (breaking: from the Ministry of the Bleeding Obvious), and the federal government has recently committed additional funding to the states and territories including $5 billion for the Melbourne Airport Rail Link; almost $190 million to WA's hospital infrastructure; and promising over $250 million in future funding for remote indigenous housing, public hospitals, and housing and homelessness in the Northern Territory. In the wake of the Banking Royal Commission we're asking our panel of experts what they think. 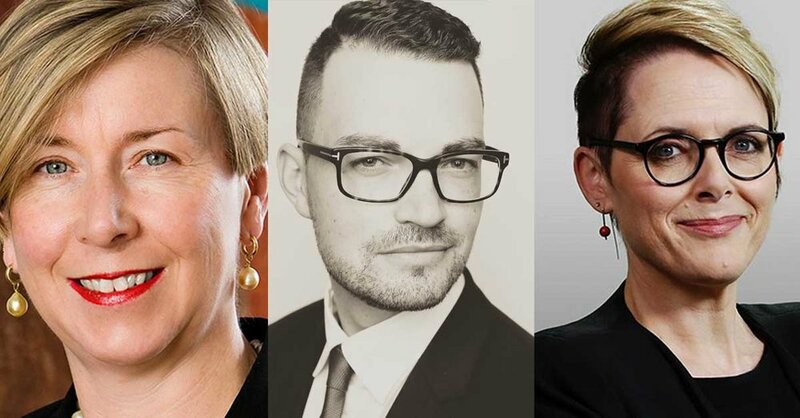 Whether it's a dressing down of the big banks, moves to greater consumer protections, housing affordability or infrastructure spending, join former Department of Finance Secretary Jane Halton, ABC Federal political reporter Sabra Lane and Bevan Shields from Fairfax Media to help us sort the trash from the treasure this budget 2018. Jane Halton AO PSM had a 33 year career in the public service and held the positions of Secretary of the Australian Department of Finance, Secretary of the Australian Department of Health, Secretary for the Department of Health and Ageing, and Executive Co-ordinator (Deputy Secretary) of the Department of the Prime Minister and Cabinet. She retired from the APS in 2016 and currently holds a number of directorships and board positions including Independent Non-Executive Director at ANZ Bank. Sabra Lane has been covering federal politics in Canberra since 2008. For more than three years she was the Chief Political Correspondent on the nightly TV flagship program 7.30. In 2017, Sabra took over the presenter’s chair on the ABC’s popular radio current affairs program ‘AM’. Bevan Shields is the federal editor and Canberra bureau chief for the Sydney Morning Herald and The Age, based at Parliament House in Canberra.